Concrobium Mold Solutions are manufactured by Siamons International. Siamons International was founded in 2003 to develop and commercialize an exciting new cleaning technology called “Concrobium”. 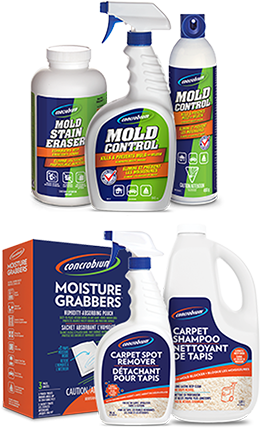 The unique solution, which kills and prevents harmful mold, was put through its paces for two years, as we sought and secured EPA registration.